All Arlington homes currently listed for sale in Arlington as of 04/23/2019 are shown below. You can change the search criteria at any time by pressing the 'Change Search' button below. If you have any questions or you would like more information about any Arlington homes for sale or other Arlington real estate, please contact us and one of our knowledgeable Arlington REALTORS® would be pleased to assist you. 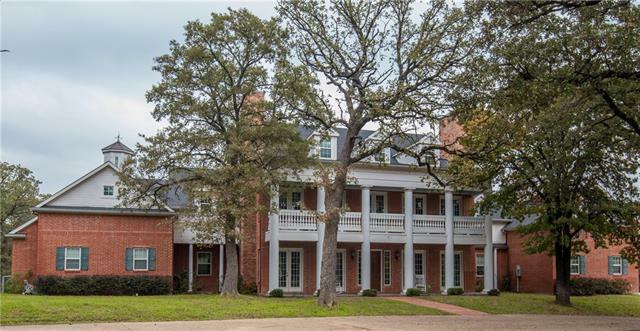 "Well-appointed 12 acre equestrian estate rolling topography features multiple living areas, riding arena, and well equipped 7 stall stable. The highest point of the property reveals a trilevel estate with veranda views of city nightlights. Walls of glass show off the heavily wooded terrain and makes for privacy of estate owners. Guests follow an ascending winding road from the entry gates passed the stables and night lit riding arena up the hill to the estate perched for optimum views. The main"
"RARE FIND! 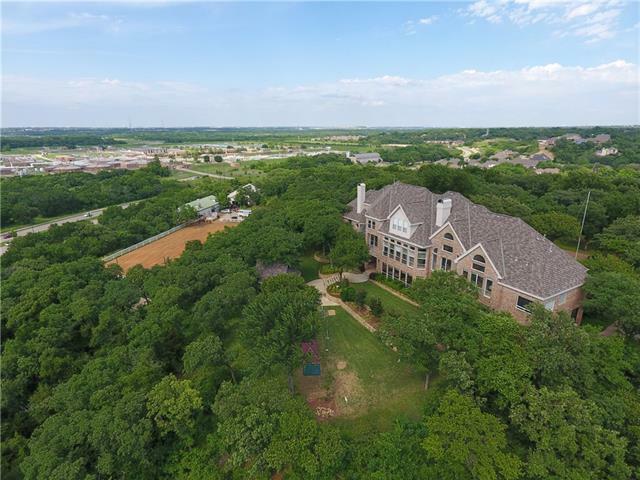 Privacy and tranquility coupled with elegant country living are presented in this 7,200+ sq ft 6 BR 5.2BTH Waverly and Woodlawn inspired home situated in prestigious SW Arlington and on the luxurious Rush Creek! From the stunning views of the sprawling 22+acres, accessed from the full length balconies, to being greeted in the open rotunda in lavish style by the James Moder chandelier, suspended (and motorized for ease of clng)as an impressive centerpiece, welcoming all into the richne"
"Meticulous craftsmanship and architecture combine to create a spacious and luxurious custom built retreat situated on over 2.3 acres in coveted Loch Highland Estates. Beautifully landscaped grounds give way to the lovely interiors and spacious living areas. Master suite is a peaceful and spacious retreat with a fireplace and private patio with views to pool and backyard. 2nd bedroom, game room and media room located on 1st floor. 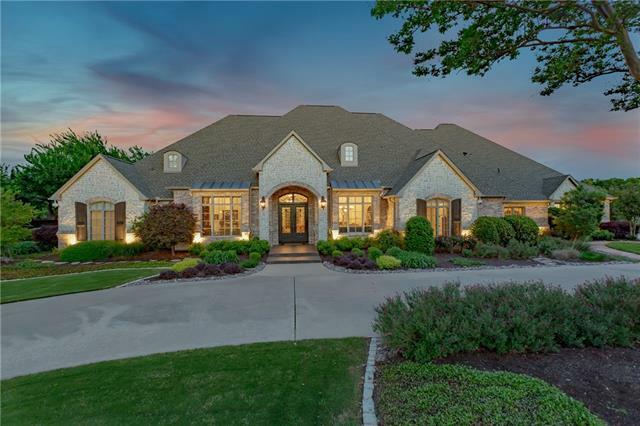 Outdoor living area is perfect for entertaining with generous room"
"This gorgeous 5 Bedroom, 5.5 Bath custom home in Viridian was completed January 2019. This home features formal living and dining areas, a study, and a downstairs game room and media room! The open floor plan has a large great room with stone fireplace and an open kitchen with a large island a spacious breakfast nook. 3 Bedrooms and 3 full Baths are downstairs with 2 Bedrooms upstairs making it a great guest or MIL suite. Large outdoor living space with fireplace and attached grill. 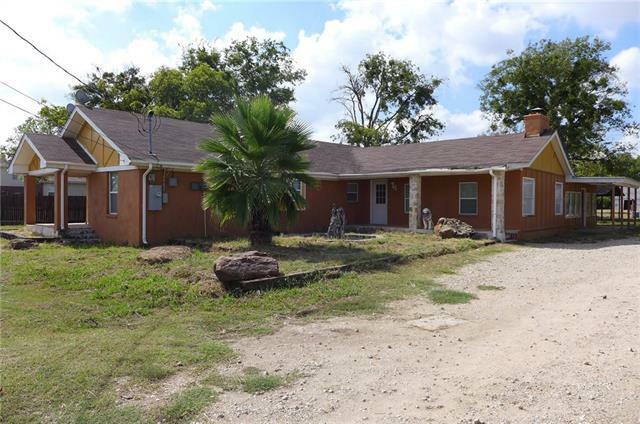 Quality, cus"
"This is a privacy home that is zoned for commercial use. The Hwy TX-360 is under construction now; it promises the highway that bring more people to the area. Property is around 2,500 sqft, plus a 2,100 sqft greenhouse, and another storage building about 1,600 sqft all the way in the back. Property could be occupied while establishing business." "Custom Transitional home with sleek modern interior-Perfect home for entertaining for the sports or outdoor enthusiast. Enjoy the Rangers,Cowboys, take the kids to a theme park or head to the nearest golf course. Forest Hills offers a jogging trail,lake, community park with playground, soccer field and more.The 5 beds with one on main lend this home to be perfect for multi-generational living. 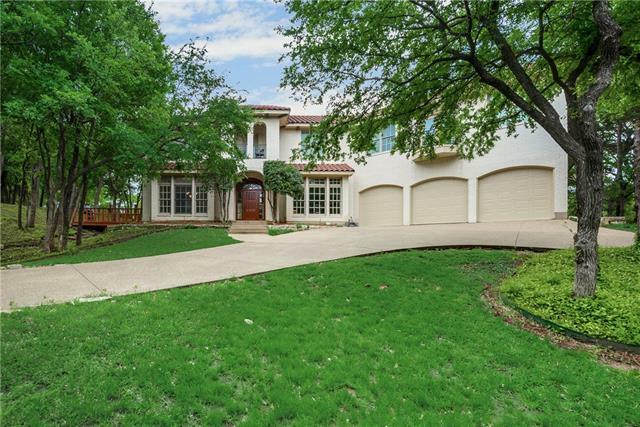 Featuring an open floor plan with a chef s kitchen for the food connoisseur,the living spaces invite "
"Private, architectural beauty in Arlington. 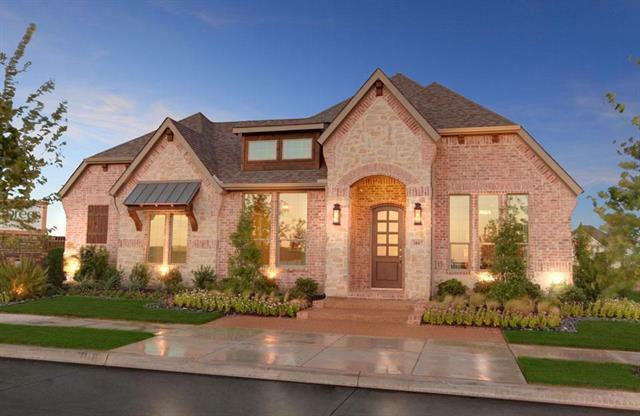 Expansive open floor plan with soaring ceilings with wood and brick detail throughout. Multiple living & dining areas, perfect for entertaining guests. Private master retreat with dining area & fireplace. Indoor pool, sauna, steam room, Jacuzzi, & giant master closet. Beautifully situated on 2.45 acres & surrounded by mature trees, outdoor kitchen, and private pond." "Country feel in the city limits with endless possibilities! Executive main home features dual master bedrooms, huge entertaining spaces and is a car enthusiasts dream! Lush landscaping sets the scene. Saltillo tile entry. 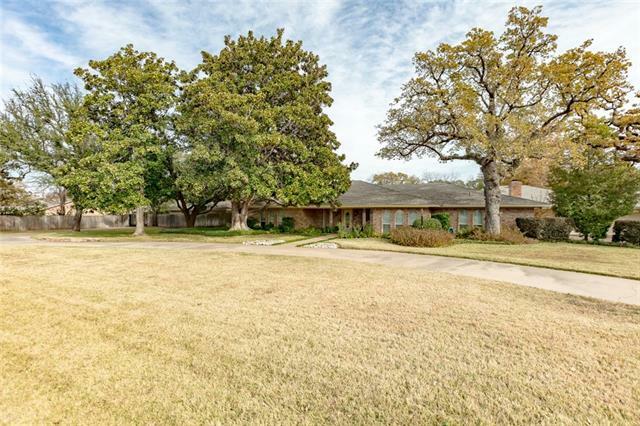 Large formal living has vaulted ceilings, decorative brick fireplace and wood floors. Split bedrooms for privacy. Huge updated gourmet kitchen with stainless appliances, granite tops and abundant storage. Master suite features a wood burning fireplace and custom walk-in closet." 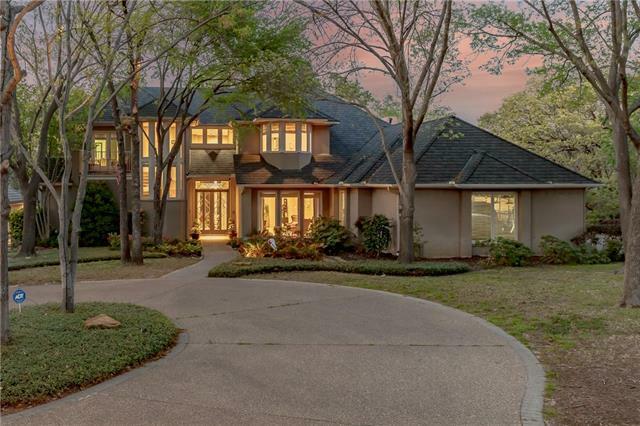 "Spectacular five bedroom estate in the center of Arlington! 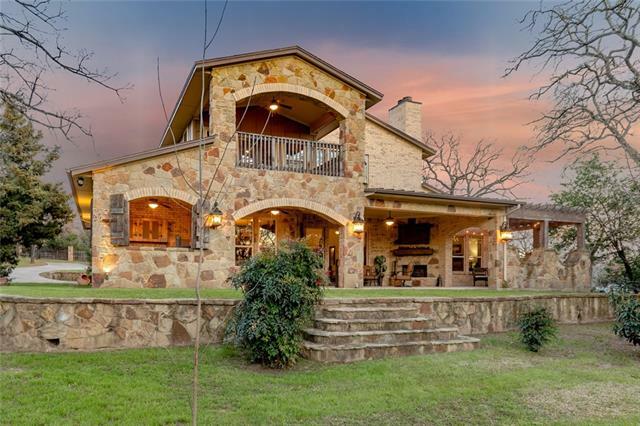 This gorgeous, move-in ready home sits on 1.81 acres with a sports court and spring fed pond. Light, lovely, and spacious, the downstairs includes two living areas, a kitchen to delight any chef, and a huge master bedroom suite plus two additional bedrooms. The upstairs focuses on entertainment for family and friends, two living areas and a fabulous media room. 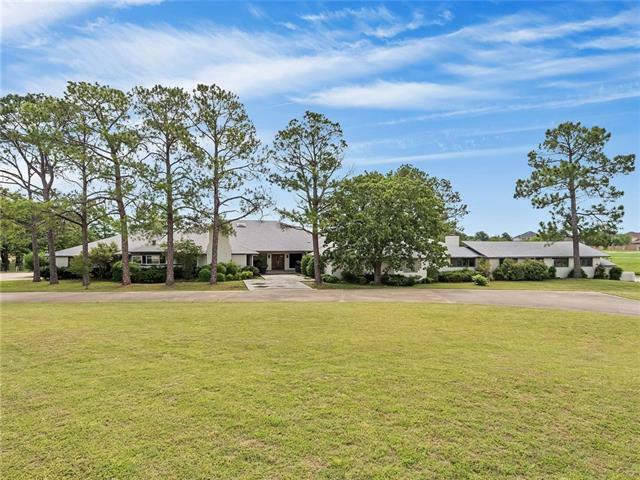 Don't miss the 738 sq ft office area or flex space not counted in the 6,0"
"Escape to this magnificent custom designed estate situated on 1.87 acres. Beautifully designed kitchen with impressive stainless steel appliances, large island, breakfast bar and oversized walk-in pantry flows into the casual dining and open to the family area. Generously sized bedrooms all offer ensuites. The Mastersuite showcases a sitting area & large coffee bar, spa-like bath with his and hers vanities, custom closet system and walk-in shower. 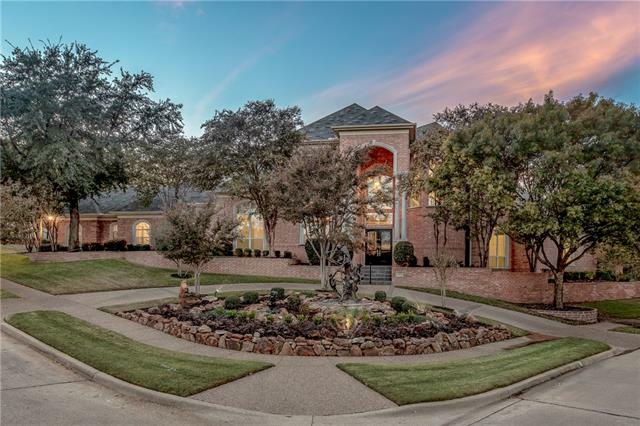 This exceptional home features, a mom office, la"
"A spectacular property in Deerwood Park! 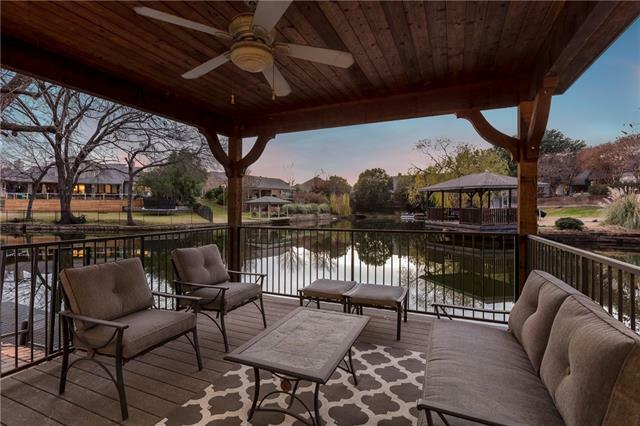 This gorgeous home sits on over acre on the pond! 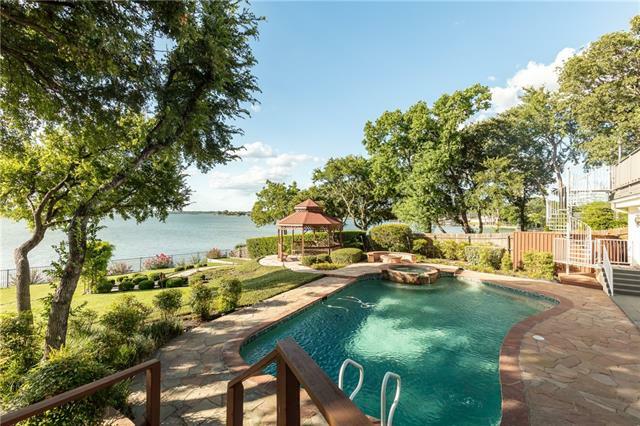 With an inviting dock, pool, refreshment center & spacious patio. The backyard offers compelling views and gracious areas for outdoor entertaining. A master wing includes a lovely bedroom with a fireplace, its own patio area, workout room & large bath with dual custom closets. With beautiful floor-to-ceiling windows, the banquet-size dining room can easily accommodate friends and family, and the breakf"
"This rare property is available for the new owner to love and make their own! The property is on almost an acre full of mature trees and views! The home offers an indoor, in-ground, spa and attached sauna. 4 new AC units were installed within the last year, all with a 12 year transferrable warranties! The property has a sprinkler system that covers the entire yard! The 3 car garage is oversized to allow room for a large truck or work bench. The 5,167 square feet, 5 bedrooms and 5 full bathrooms "
"Custom home was thoughtfully designed to max. functionality & comfort for a multi-generational family,w-pets,to coexist harmoniously.Enjoy your quiet,private space or join others in one of the many lrg liv areas,in or out.Pocket doors sep front entry from Open Concept Living for privacy & sound control.Unique tiled dog kennel w-handheld shower sprayer & drain to easily facilitate washing dogs & kennel.This could be converted to a wheel chair access shower if needed. Exterior fa ade of grand sca"
"Gorgeous two story home with large, spacious rooms and great drive up appeal!Stunning waterfront private estate on park setting with a manicured landscaped lot.Own your own resort like home with generous amounts of natural light and breathtaking views. This estate features wood floors, a wet bar in the formal living and Den. Extraordinary finishes, three fireplaces, and a spacious kitchen with island, breakfast bar, and ample cabinets and countertop space. Large master suite and Hollywood style "
"Extraordinary Canal Front Estate located in Interlochen Estates. This home is unique and showcases a 5 level,3 story design which is perfect for family entertaining both indoors and outdoors. The abundance of windows throughout the home highlights the stunning water views. Home showcases study, office, library, exercise room, sun porch overlooking the canal, an impressive kitchen with commercial appliances, warming drawer, 2 convection ovens, 2 built-in microwaves, and built-in refrigerator. Mas"
"MLS# 13995632 - Built by Toll Brothers, Inc. - June completion! 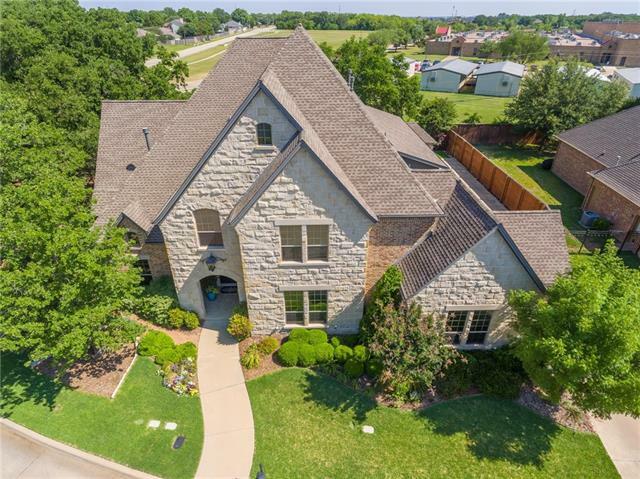 ~ Gorgeous home with architectural details, such as groin vaulted ceiling in foyer, two-story foyer with grand curved staircase, French doors to private study. Full bathrooms in every bedroom. Bay of windows in breakfast area overlooking covered rear porch. Downstairs master includes two large walk-in closets, art niche, and tray ceilings. The kitchen has expanded island, walk-in pantry, and access to the secluded planning cente"
"MLS# 13995608 - Built by Toll Brothers, Inc. - June completion! 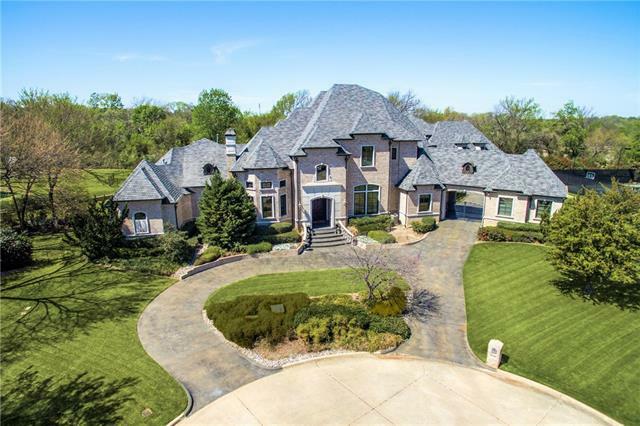 ~ Enter into the soaring two-story foyer with impressive curved staircase, private study with french doors, and formal dining room with natural lighting. The first floor guest room with full bath looks onto the front courtyard. The great room is perfect for entertaining with cozy fireplace, open to kitchen with multi-slide door to covered porch. 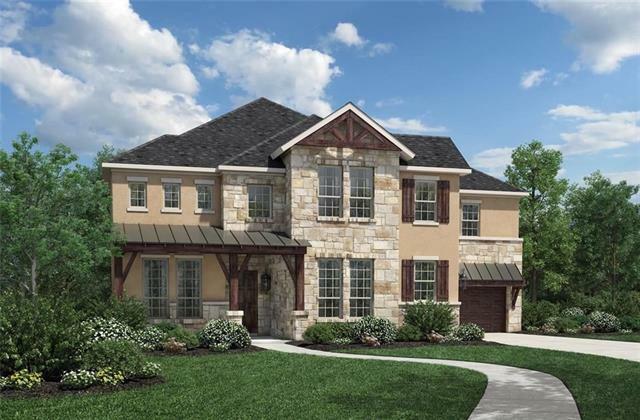 The master suite contains tray ceilings, gorgeous master bath with two walk-in closet"
"Luxury Tuscan villa in Certified Natural Wildlife Habitat in Arlington. Enjoy 2 acres of natural beauty whether walking down to the flagstone patio & pond or gazing out from the veranda. Cook in the open & fully equipped gourmet kitchen. Host dinner for your family or closest friends in the rustic, Tuscan-inspired dining room. Enjoy the peace & tranquility of the evening as you feed the wildlife out back. One of a kind home constructed by a builder for his family with utmost attention to detail "
"Bravo!!! 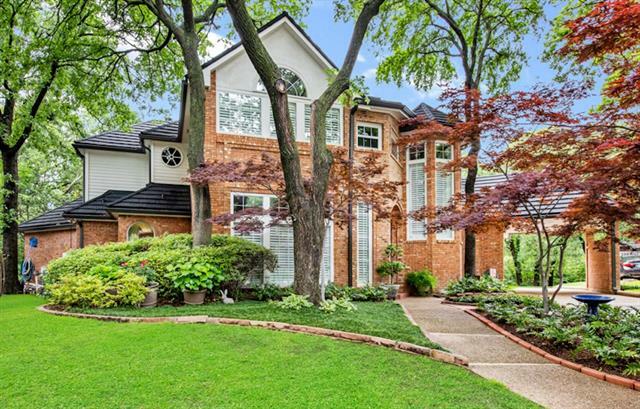 Beautiful Home on an Absolutely Stunning Wooded Cul de Sac Lot in Exclusive Deerwood Park. 4B, Study, 2 Living, .08 Acres. Hardwood Floors, Pool, Spa Heated, Pristine in Every Way from the Front to the Back! Don't Miss this One!! WOW!!!" "Stunning single owner, custom California-contemporary home featuring a huge great room and gourmet kitchen with bar seating for seven, subzero fridge, and Thermadore range. Wood floors throughout the main floor and centralized vacuum system for easy cleaning. Ample storage, walk-in cedar closet and huge laundry room. Great family home on cul-de-sac with a private wooded yard perfect for kids and entertaining. Pool recently refinished in summer of 2018. Come view this one of a kind property for y"
"MOTIVATED SELLER - Beautiful home with pool and a guest house, second home could be used as Mother in Law suite or accessory building for your business. 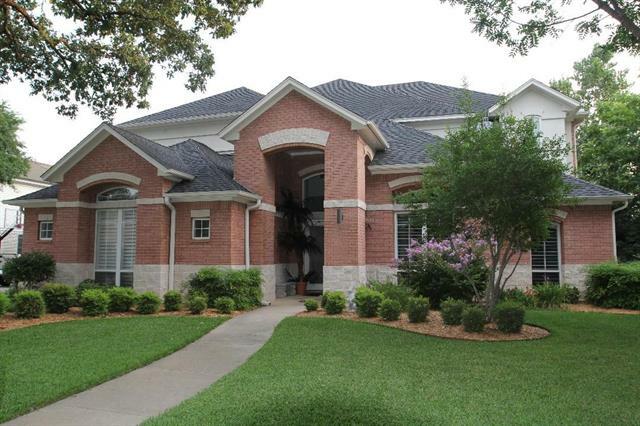 Main home is 3730 sqft, guest home is 1750 sqft, home sits on 1.85 acres with ample parking for all your big boy toys. 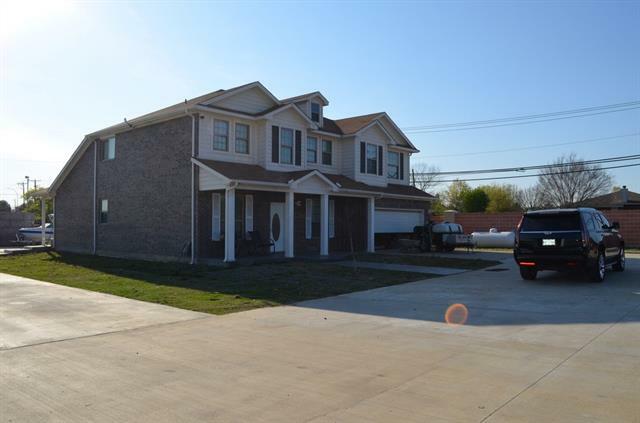 Main home has tall ceilings, 2 master suits, 3 full baths and 3 more bedrooms. 3 dining areas, 2 living areas. Large center island opens into living area. Guest house has 4 rooms plus main room with kitchen and large full bath. " 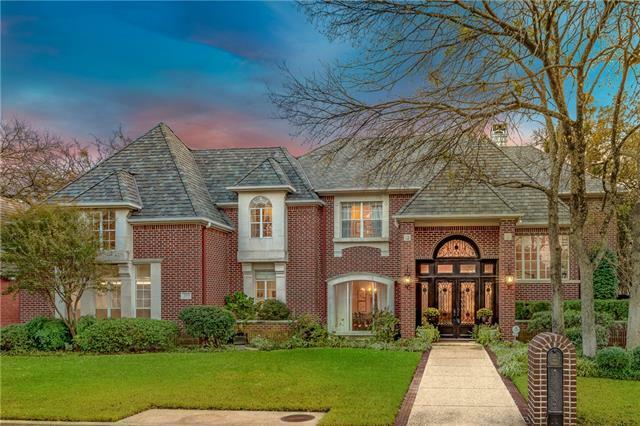 "Executive masterpiece located in the sought after Deerwood Park Addition and desirable Arlington schools, Wood, Boles and Martin High School. 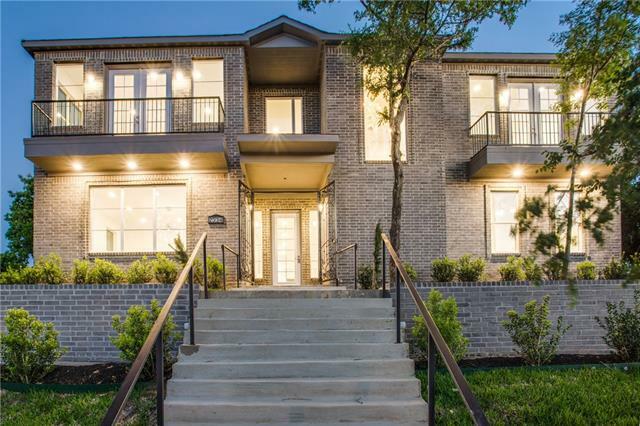 Home boasts a well designed open concept adorned with custom finishes throughout. 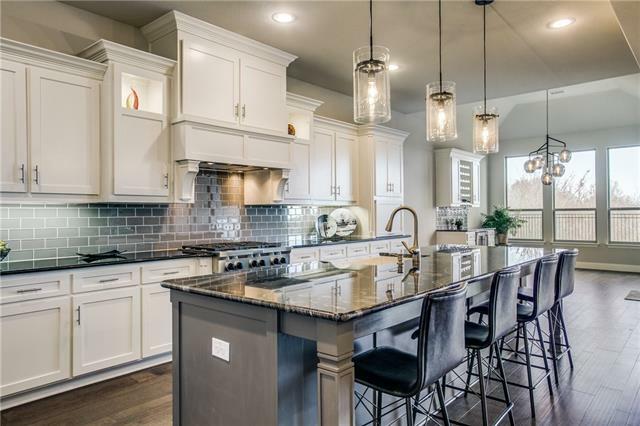 Impressive kitchen with island, walk-in pantry, granite counters and large breakfast bar lending itself to the family room, perfect for entertaining or large family gatherings. First-floor master suite with a large sitting area, fireplace and spa-like bath with separate "
"FULLY FURNISHED Model Home decorated by leading interior designer for builder. Plantation shutters, study with closet, formal dining room, butlers pantry with smoked mirrors, transitional plan with gourmet kitchen, oversized island & fireplace which makes the spacious room feel warm & cozy. 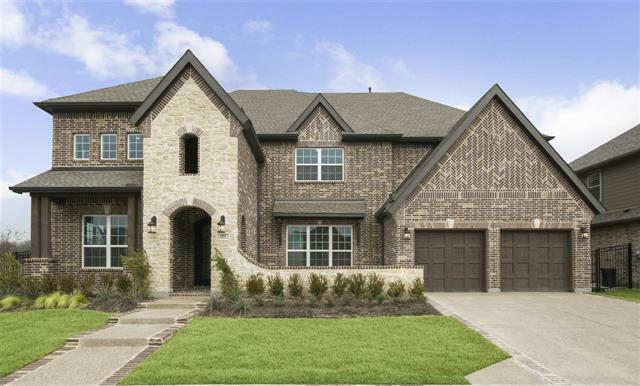 Off the kitchen is a walk-in pantry, family foyer, & side office, covered patio with outdoor fireplace, professional LYNX outdoor kitchen installed 2018, all 3 bedrooms feature en-suite baths , opulent owners"
"Stunning newly completed in Dec 2018, single story Drees home with upgrades throughout. Great home for entertaining on this oversized greenbelt lot. Enjoy the peacefulness & picturesque views with an oversized open door covered patio and firepit. Spacious family room with gorgeous fireplace. Upgraded gourmet kitchen, oversized island, separate coffee bar and wet bar. Master bedroom overlooks greenbelt with stunning master bathroom. Walk-in shower with freestanding tub, Come enjoy the RESORT feel"